established in 1985 in Hong Kong. Other than research, manufacture and development of printing machines, we also concentrate on sales and trading. Our products include TIC series pad, screen and hot stamping printer, together with automatic and peripheral equipment. We are also glad to solve clients’ enquiries on printing. With the 20 years effort we put, we gathered a group of professional and experienced engineers, special-printing designers, salesperson and factory workers. 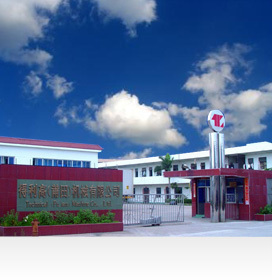 In Fujian, TECHNICAL (PUTIAN) MACHINE CO. LTD. is the main station of manufacture, with 10,000 m2 of area and a series of high technology manufacture equipment. Shenzhen office is for serving all clients in the Mainland. We provide satisfactory before and after-sale support. Special printing machines are ready for pad, screen and hot stamping printing for our customers. To meet our clients’ desire, we produce new products continuously and new technology is applied. Customers would be convenient with our one-stop service. More than 150 models of pad, screen and hot stamping printers, in addition to the peripheral equipment were produced and sold. Tailor-made machines and product line would be designed for customers. Service and accessories including steel plate, steel plate etching, film making, mesh making, jig making, pad printer ink cup, typical and special-designed pad are provided. Other consumables like ink, solvent, blade and squeegee from overseas famous brands are available. Our pneumatic and electrical components are imported from brands like BOSCH, FESTO, SMC, OMRON, IDEC and PANASONIC. All of them are controlled by advanced micro-computers, which give trust to our customers. As a guarantee of our quality, all of the exported products are conformity to the CE criteria. TECHNICAL has a world-wide market and our agents are located in more than 30 countries in the world, such as Italy, Spain, Germany, Russia, South Africa, Australia, USA and Korea, and 20 cities in the Mainland. Reliable quality, criteria conformity, excellent service and reputation are the reasons of success of TECHNICAL.